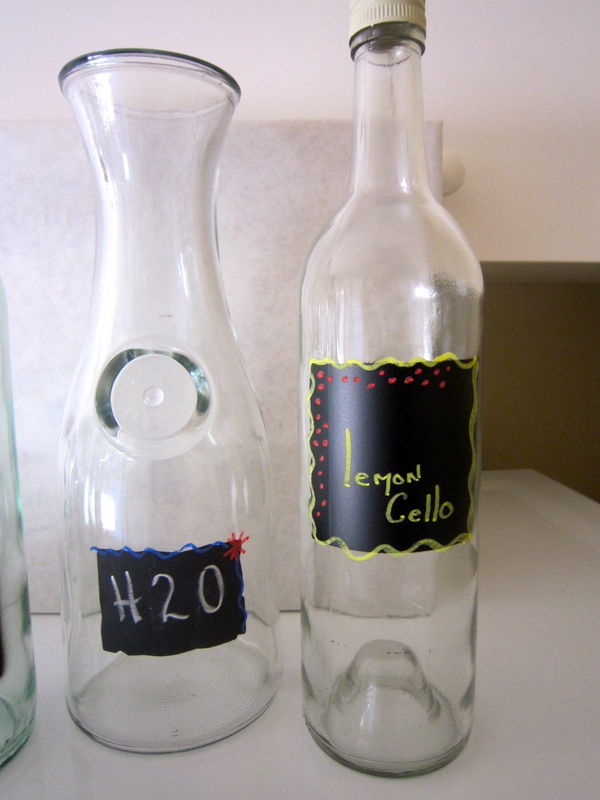 So start saving all your favorite empty bottles. Soak them in hot water and peel the labels off. 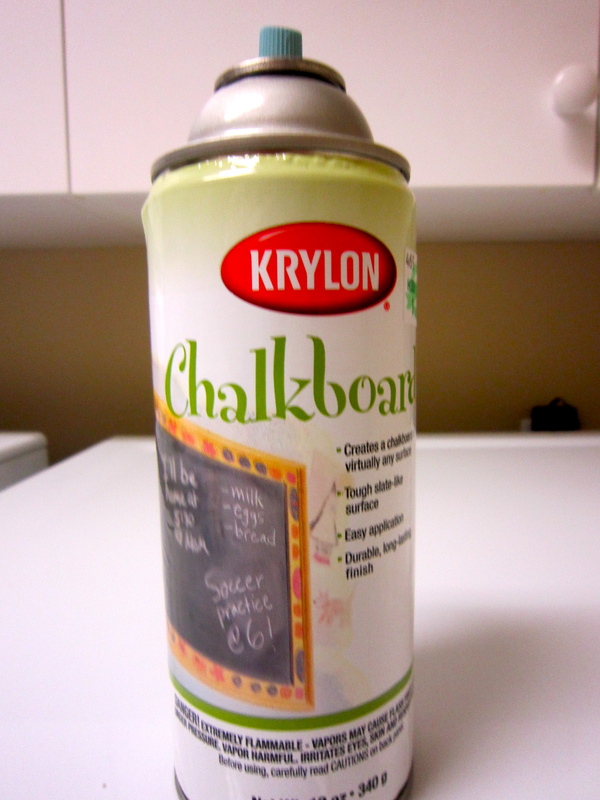 Purchase Chalkboard paint from your local Hobby or paint store. It comes different ways, spray paint or paint on. There is even a website where you can make your own, but I went the spray paint version. 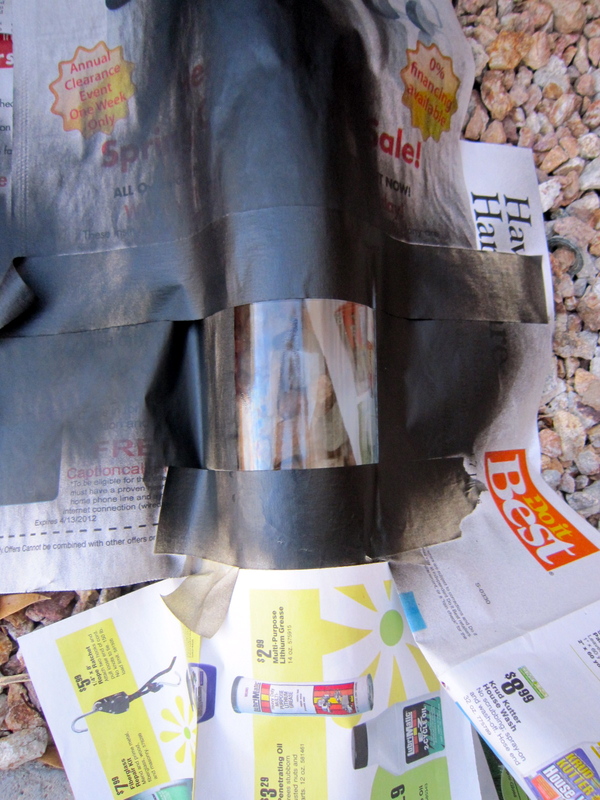 Follow the directions on the can, I sprayed several layers, horizontal than vertical and let dry between layers. After 24 hours its ready to use. You can write on them with regular chalk or you can purchase chalk paint markers in different colors which add a whole lot more creative fun. 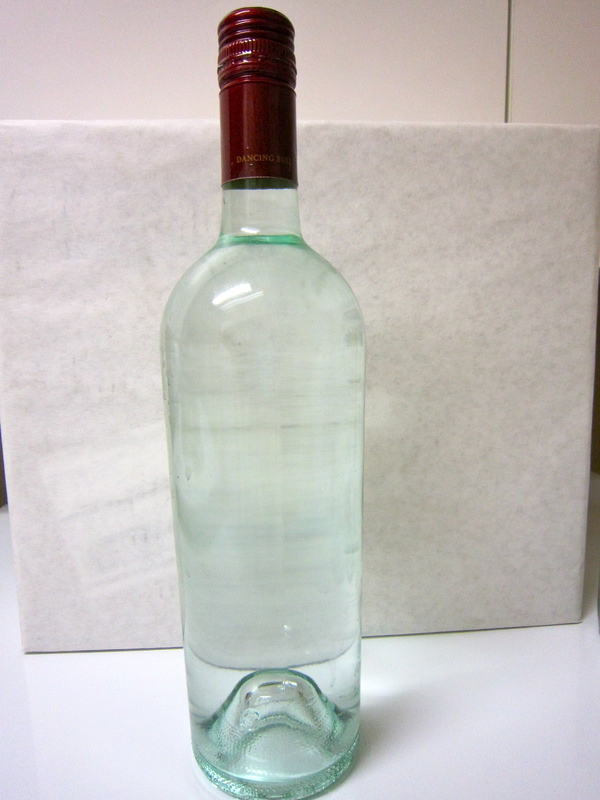 The use’s for these are endless, beverages, flavored oils, vases, bubble baths. You could tie a piece of chalk around the neck with twine, fill with your favorite whatever and what a great gift. I really enjoy these and I hope you do also.